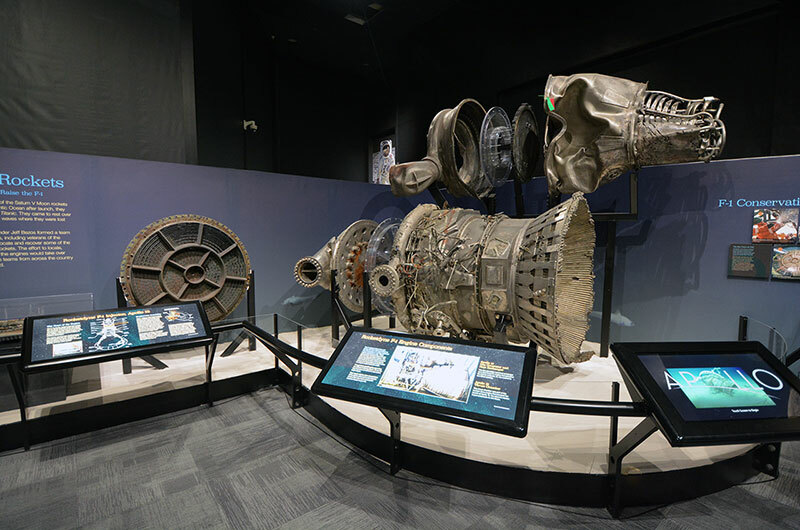 — Nearly 50 years after they were used to launch astronauts to the moon and four years after they were raised off the ocean floor, the massive rocket engines recovered by Amazon CEO Jeff Bezos are going on display in Seattle. 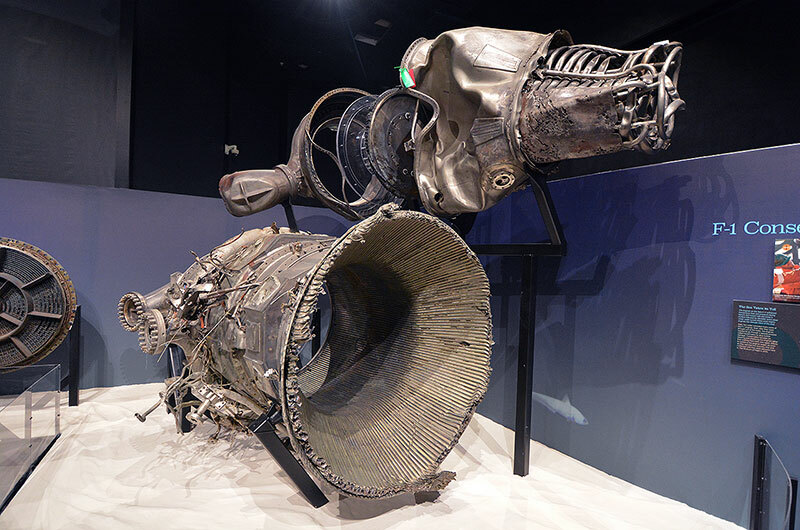 The Saturn V F-1 engines, or rather the parts of such due to their being torn apart and eroded, are set opposite a towering unused engine, serving as an example of what they looked like before they were launched. The pair are featured along with other NASA artifacts in "APOLLO," the new permanent exhibit at The Museum of Flight, opening to the public on Saturday (May 20). 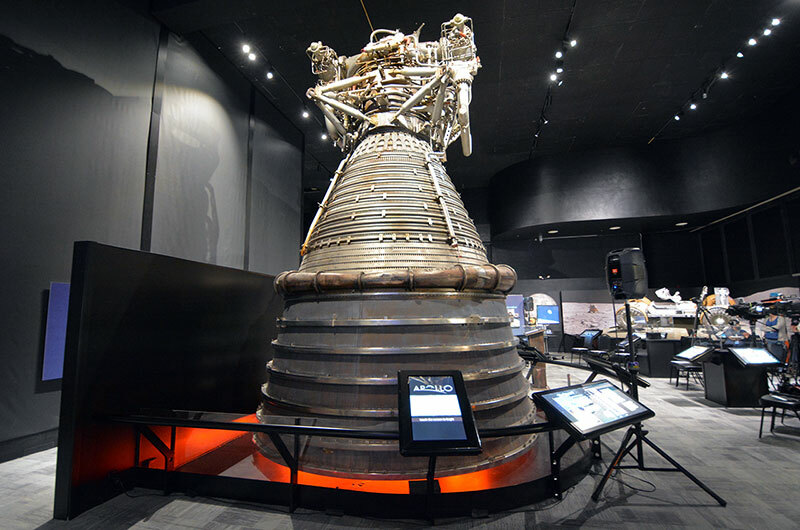 "APOLLO is about the stories, large and small, that contributed to mankind first leaving the planet and heading to the moon," said Matt Hayes, the executive vice president of the museum, at a press preview on Thursday. 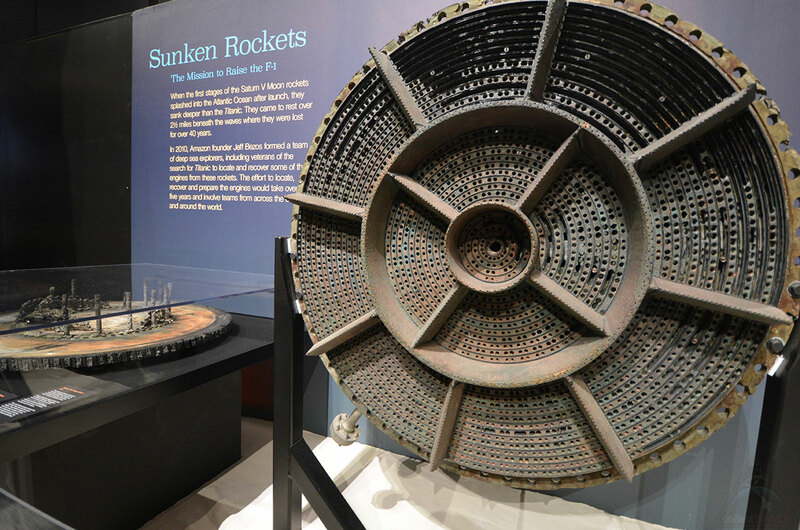 "This exhibit integrates the best of our early space artifacts, and it threads together a common storyline with some recently acquired gems, for an experience not found anywhere else." Used to launch the Apollo 12 and Apollo 16 missions' Saturn V rockets that carried astronauts to land on the moon in 1969 and 1972, respectively, the engines lifted off and then, once no longer needed, fell 40 miles (65 kilometers) out of the sky into the Atlantic Ocean, where they sank and sat on the seafloor for more than 40 years. Bezos funded a series of private expeditions, conducted in secret between 2010 and 2013, to locate, raise and return the engines for a singular purpose. "Jeff came up with the what and the why — find and recover the engines that launched men to the moon to inspire five year olds," said David Concannon, who organized and led the recovery for Bezos. "Here is a man who could do anything that he wanted with the resources that he has available and what he really wanted to do was recreate the moment when he was five years old and he watched a man land on the moon." 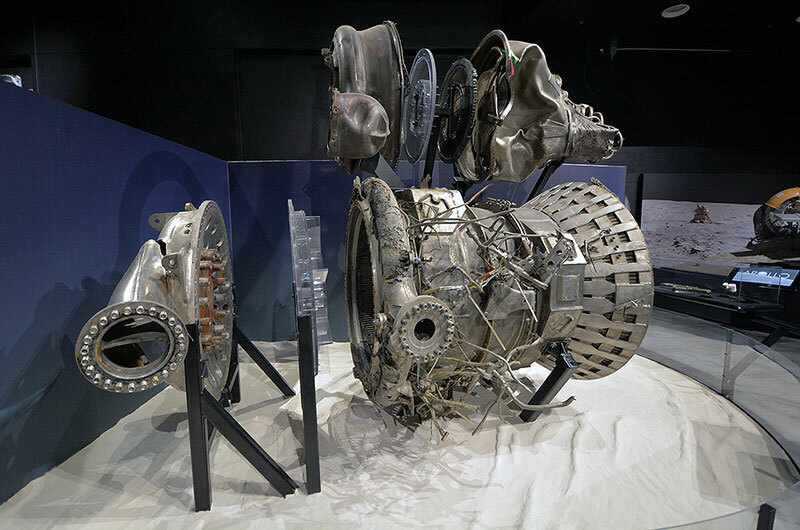 Additional recovered engine parts will be displayed by the Smithsonian's National Air and Space Museum in Washington, D.C., and by the Cosmosphere in Kansas, in the months and years to come. 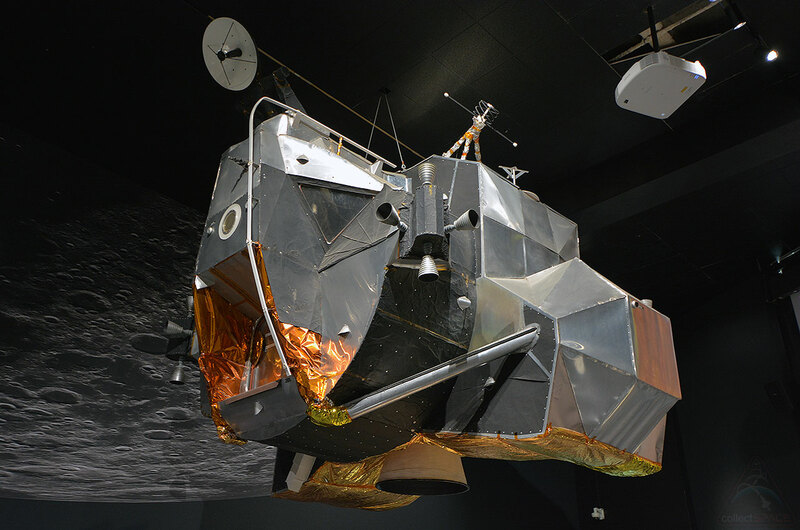 They will also tour with Columbia, the Apollo 11 command module, including a stop at The Museum of Flight in 2019. Bezos' goal to inspire a new generation of space explorers is reflected throughout The Museum of Flight's APOLLO exhibit. 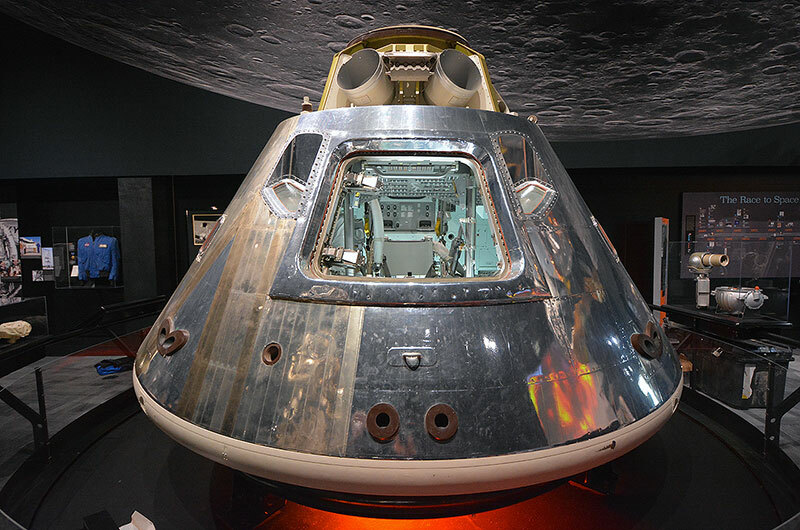 In addition to the F-1 engines, the gallery showcases the first production-line Apollo command module delivered to NASA in 1966, an engineering mockup of a lunar rover, an Apollo-recovered moon rock and the memorabilia of the late Apollo 12 commander, Charles "Pete" Conrad. "We wanted to make Apollo accessible to a broader audience," commented Geoff Nunn, the museum's adjunct curator for space history. "We're fast approaching the 50th anniversaries of the Apollo missions. Just this past January we remembered the Apollo 1 tragedy, and beginning next year, we'll begin to celebrate the triumphs that followed. But 50 years is a long time and a lot of our visitors' first memories are of when the space shuttle was beginning to be retired [in 2011]." To address this, the exhibit draws connections between the historic artifacts and today's commercial space activities, as well as taps into the human stories behind the pieces contained within the gallery. "Around each of the artifacts, we have signature biographical stories that tie in to someone who worked on some aspect of that artifact or who contributed to some topic or some area that helped us get to the moon," said Nunn. In addition to Conrad's artifacts — including a checklist used on the surface of the moon and a "mixtape" music cassette he listened to on Skylab, the United States' first space station — APOLLO also shares the story of Deke Slayton, one of the original Mercury astronauts, whose temporary grounding resulted in his diamond-studded astronaut pin being flown to the moon by Neil Armstrong on the Apollo 11 first moon landing mission. The pin is one of two Armstrong flown artifacts featured in the exhibit. The second, material samples from the Wright Flyer, the first airplane to achieve powered flight just 66 years before the first lunar landing, originate from a stash of Flyer artifacts that Armstrong took with him aboard Apollo 11. They will be installed in the exhibit in the coming weeks after being delivered by museum trustee Mark Armstrong, the late moonwalker's son. "A piece of the Wright Flyer fabric and a piece of the propeller will become part of this exhibit, linking that story from 1903 to 1969 to 2017 to the future," said Doug King, president and CEO of The Museum of Flight. "I can't imagine the feeling that people will have when they can relate to specifically these small things and to the memories that we who remember 1969 will share." "And maybe much more importantly, the vision of the future — the one we'll share with every young person who comes through this exhibit. They are the ones who will create the rest of this story," said King. 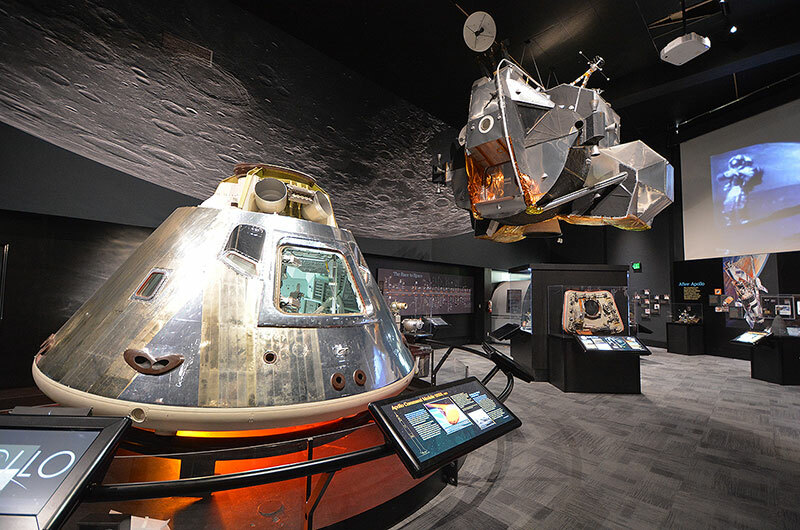 The new APOLLO exhibit at The Museum of Flight is designed around "anchor artifacts," including Apollo Command Module 007A, the first production-line capsule delivered to NASA for testing and training, and a full-size model of the ascent stage of the Apollo lunar module. APOLLO tells the story of the moon landings, what led to them and what followed leading up to the space shuttle-era. 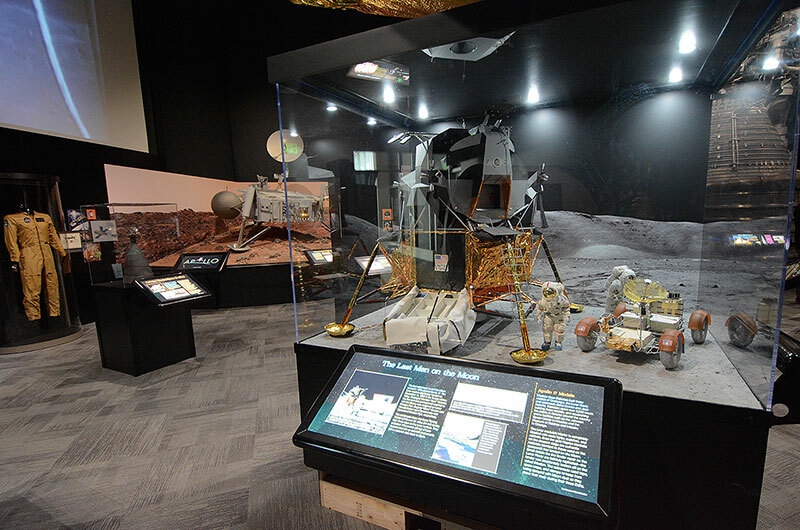 As seen here in the background, the exhibit includes the Viking III Mars lander, the only Viking Lander Flight Capsule body remaining on Earth. 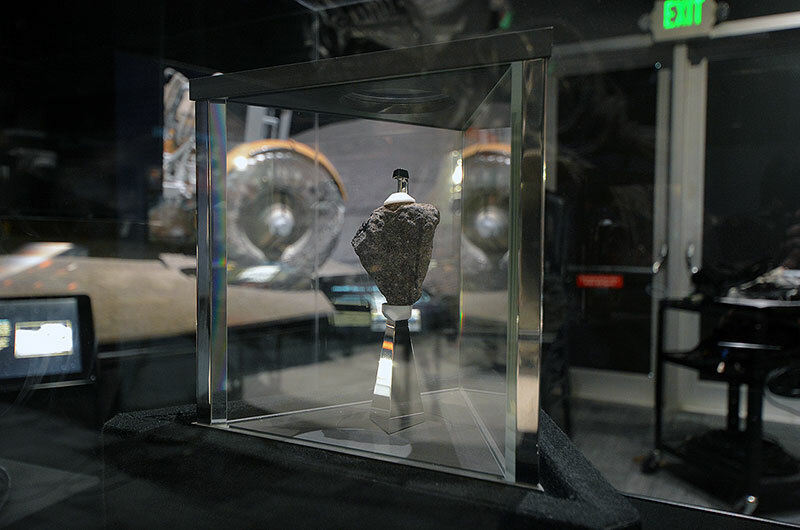 Apollo 12 commmander Charles "Pete" Conrad collected this moon rock (lunar sample no. 12047) from Block Crater in November 1969. 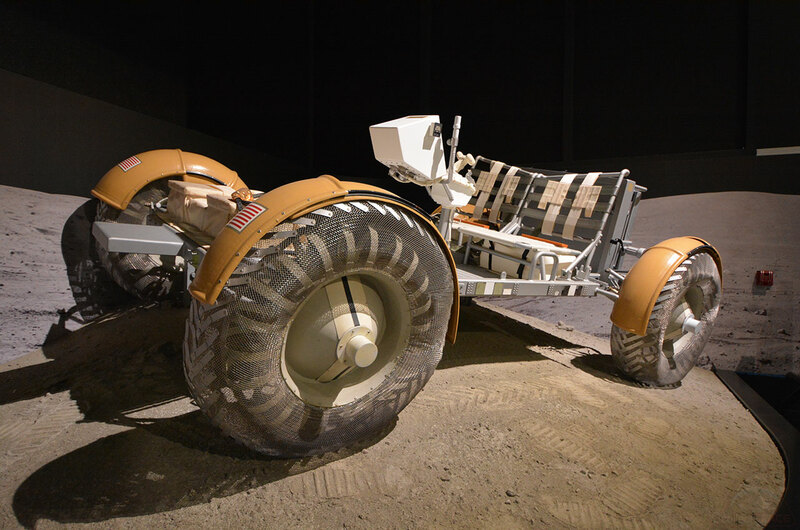 The lunar roving vehicle on display in APOLLO is an original engineering mockup built in 1971 by The Boeing Company. Three rovers were flown to and driven on the moon by the Apollo 15, Apollo 16 and Apollo 17 missions. 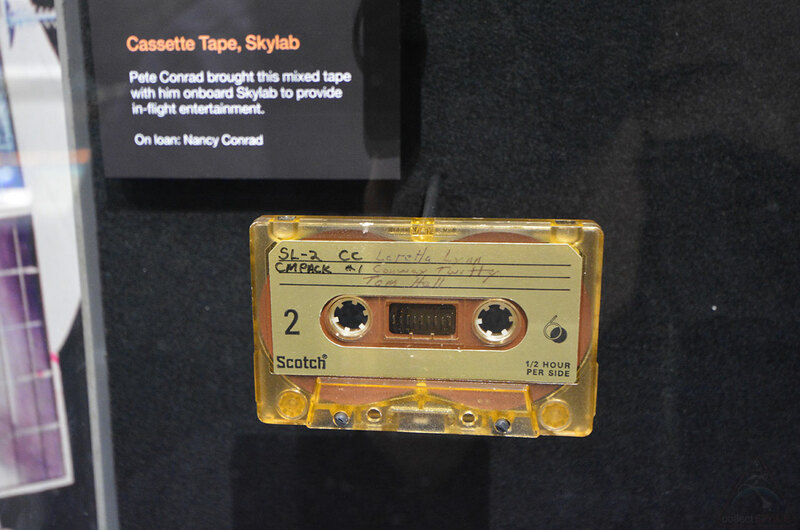 APOLLO includes dozens of personal items used by the late Apollo 12 astronaut Charles "Pete" Conrad during his career as a Navy pilot and NASA astronaut, including this mixtape music cassette he listened to aboard the United States' first space station, Skylab. 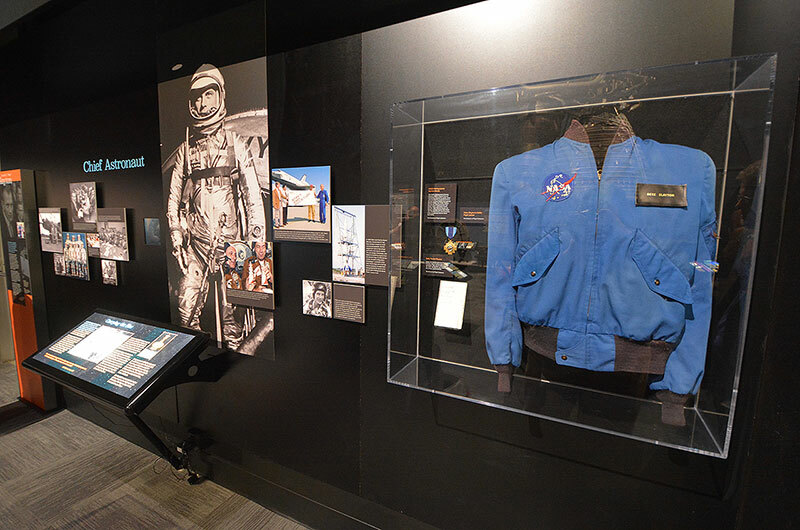 APOLLO also exhibits items relating to the career of NASA's first chief astronaut, Deke Slayton, including his diamond-studded astronaut pin gifted to him by the Apollo 1 astronauts' widows and flown to the moon by Apollo 11 commander Neil Armstrong. On loan from NASA, F-1 rocket engine no. 6049 was initially intended to be used for the Apollo 16 mission in April 1972 until a test stand fire required it to undergo substantial refurbishment. 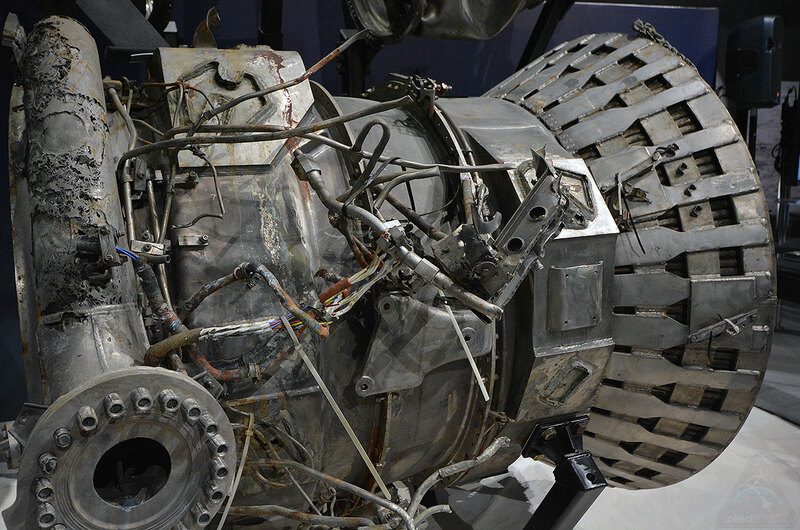 The recovered F-1 rocket engine on display in APOLLO is comprised of a gas generator and heat exchanger used to launch Apollo 16 and a thrust chamber from the Apollo 12 mission. It was conserved but not restored to exhibit its entire history.